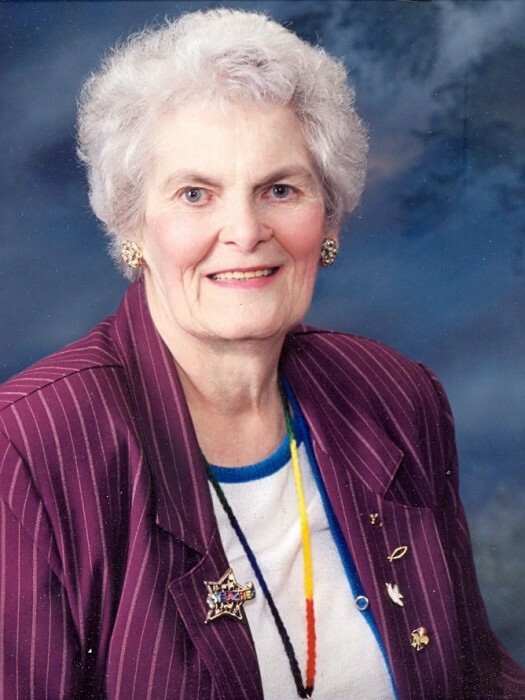 Kathleen M. “Katie” Martin, 91, of Hamilton, passed away at 1:00 P.M. Friday afternoon, November 23, 2018 at the Montebello Care Center in Hamilton. Katie was born April 26, 1927 near Elvaston, Illinois the daughter of J. Robert and Lois (Marshall) Martin. After graduation from high school she went on to receive her Bachelor’s Degree in Special Education and Music. She was the first Special Education teacher in Hancock County. She retired in 1995. She was united in marriage to Sam Walker in 1946. She was later married to Clifton “C.L.” Grotts in 1961. Katie was a member of the Sandusky Methodist Church and served as the church organist for many years. She was also a member of the retired teachers association in Hancock and Lee counties. Katie was a master gardener. Katie is survived by four children, Josette “Josie” (Les) Waddell of West Burlington, Iowa, Robert (Cindy) Walker of Hamilton, Daryl Walker of San Leander, California and Richard Grotts of Pekin, Illinois; seven grandchildren; many great grandchildren; and one brother, Dwight Martin of Elizabethtown, Kentucky; two nieces, Kay Mesecher and Diana Brown; and a nephew, Dean Martin. She was preceded in death by her parents; and a sister-in-law, Alice. Funeral services will be held at 3:00 P.M. Monday, December 17, 2018, at Printy Funeral Home in Hamilton with burial to follow in Moss Ridge Cemetery in Carthage. Family will meet friends from 2:00 P.M. until time of services at 3:00 P.M. at the funeral home in Hamilton.